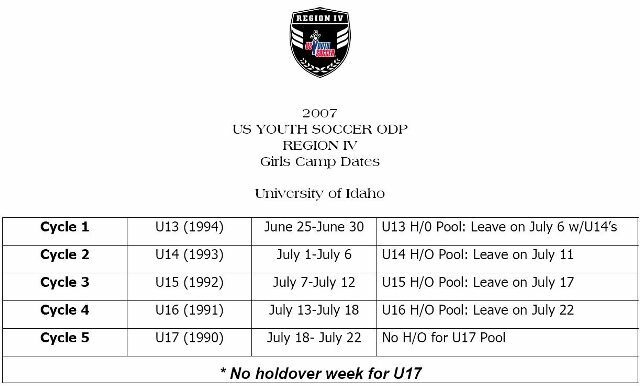 The US Youth Soccer Olympic Development Program or ODP as it is sometimes referred to is a national identification and development program for high-level players. This program identifies and develops youth players throughout the country to represent their state association, region and the United States in soccer competition. Olympic Development teams are formed at the state association and regional levels, made up of the best players in various age groups. At the state association level, pools of players are identified in each eligible age group, are brought together as a team to develop their skills through training and competition. From the state pools and subsequent teams, players are identified for regional and national pools and teams. ***Open the handouts section below for important information, including Forms and Training Dates.